When this book focuses on emotional truths, it is a good read; when it tries to convince the reader with facts, it is rather more frustrating. The prologue to Blood and Ice has two mysterious travellers chained together and thrown into the Southern Ocean. It is 1856 and their crime, in the eyes of superstitious sailors, is to be caught drinking something which is not Madeira. Given the title, and the strap line "A Novel of Dark Suspense", there is little doubt that we are in vampire territory. The first chapter proper moves us into the "Present Day: 19 November" and two kinds of mystery are immediately set up. The first, concerning how our travellers will be brought from the oceanic deeps into the present day and what they will do there, drives the plot. The second is the intrigue that is part of any contemporary vampire novel—how many of the rules of vampirism will be followed, and which will be broken? The present-day thread tells of Michael Wilde, journalist, and his journey to the Antarctic, where he finds two bodies in Victorian costume frozen into a glacier. Michael has lost all motivation after a climbing accident that put his girlfriend into a coma. Masello allows her suspended, deathlike state to spark against the vampire myth despite the mundane cause. Another pleasing metaphor is built later in the book, when Michael, who is sent to Antarctica by his editor, finds the journey, in effect, re-starting his life. Michael's sudden enthusiasm lends a genuine excitement to his sea journey, but subsequent chapters are strewn with the half-knowledge of the interested but intermittently informed traveller. 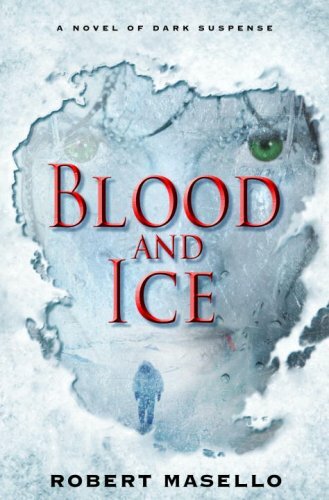 If I could have accepted all of the inaccuracies as originating with Michael Wilde, rather than his author, Blood and Ice would have been a lot less frustrating. In Tierra del Fuego, for example, he displays all the ignorance of the first-time Antarctican, seeing "flocks of snowy petrels, darting among the scoured cliffsides, tending their nests and feeding their young" (p. 41) when this species never breeds outside the Antarctic. Unfortunately, we also get Wandering Albatrosses perching on ships at sea in both the 1850s and the present day; a less than credible event even if Coleridge also allows it in The Rime of the Ancient Mariner (quoted on page 85). There is non-bird related weirdness as well. The airport of the Chilean capital, Santiago, is highly unlikely to have a "cold, windblown tarmac" (p. 34) at the end of November. Nor is it likely for American icebreakers, in the "present day" of the book, to collect crew or passengers from Puerto Williams, as happens in Chapter Five—at least, when in the "present day" Michael Wilde uses a Canon digital camera model S80 (p. 472). This detail also places the story at least a decade after the last dogs were permanently banned from the Antarctic. However, their presence is vital to the plot, so the text acknowledges this and explains it thus: "This is the last team still in operation, and the only way we could grandfather them in by claiming they were part of a long-term study. . . . Danzig wouldn't let it go. They're the last dogs at the South Pole, and Danzig's the last of the mushers" (p. 216). It is odd that the book doesn't simply move the time line back into the early 1990s—although that time period would have made a black woman as base doctor less immediately believable. At this point, there is a danger that I am repeating the author's crime of relying on special knowledge to convince the reader (in my case, garnered over regular travels to the Antarctic in the last ten years) but when an author is displaying his research on his sleeve, it really would benefit from expert checking. Clearly, Masello is using details to build up a picture of verisimilitude, as he takes a similar approach to the historical period, such as telling us that Pall Mall was, in 1807, the first district in London to have gas lights on the streets. How this is relevant to a resident in the1850s is a little beyond me. Nor was I convinced that Miss Nightingale would know the location of Troy as she sailed up the Dardanelles in 1854 (p. 272). Yes, Florence Nightingale. The historical sections thread a story amongst the most well known characters and events of the period, with Eleanor as one of the few nurses in the Crimea and Sinclair being in the Light Brigade. These choices seem a little lazy, but Masello makes good use of the reader's prior knowledge of the history to both shape the period protagonists and drive the plot. The second half of the book is taken up with adventures and alarums around an Antarctic base, cut off from the world and under threat from undead beings. The accelerating action this seems to promise is snarled by the fact that Eleanor and Sinclair's tale hasn't been completed and must now be handled through character flashback rather than direct narrative chapters. Further, the book has built up too much sympathy for our visitors from the past to make them fully the stuff of nightmare. Their worst crime on the base is attacking the lead dog of the sled team. That Masello is able to build tension from these ingredients is remarkable. That he does this by building up concern that two parties whom we both care about won't be able to see eye to eye is wonderful. The scientistic aura of an Antarctic base is used very effectively to defuse the traditional vampire mythos: everyone on base is intelligent and rational, keenly looking for explanations rather than rushing for garlic and wooden stakes. Such an approach massively undercuts the expectations of the "dark suspense" reader and instead throws the plot into medical thriller territory. This proves both unexpected and satisfying as Sinclair and Michael compete to save Eleanor—from each other—and the base doctor and biologist investigate the claim to antiquity and attempt to save/cure them both. The final chapters of the book are a concerted effort to tidy up loose ends—perhaps over explaining how the peculiar events in the Antarctic can be kept there, closed off from the outer world. At the same time, the last few pages are a beautiful demonstration of how much and how little Michael Wilde has changed. Masello does a lovely job of building rounded characters. They are so genuine that I stopped noticing the irritations of misplaced facts and enjoyed the ride. 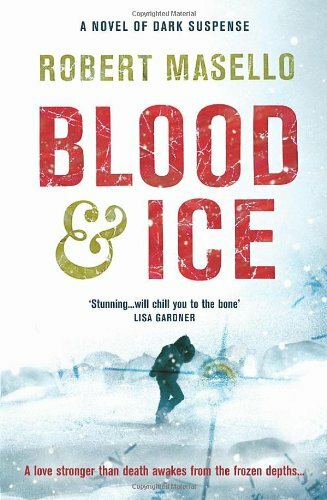 'Blood and Ice' is a massive 495 page bore. I was given a copy. I would have preferred something else. The opening is so slow that turgid becomes a synonym for speed. The characters are flat and unbelievable. Masello tries to picture the Antartic by cramming so much detail upon detail that one is crushed by the weight, and his attempts at depicting mid-Victorian England show a sad lack of understanding and feeling for the mannerisms and niceties of the day. One could ramble on, as the book rambles on, but at the risk of becoming as dull as the author. To call this a trashy novel would be to invest it with an aura of shoddy achievement when pulp rubbish suffices.